They Had What it Takes was Alden McWilliams’ series of illustrated tributes to the pioneer fliers of the early days of aviation that ran in Flying Aces from 1937 through 1940. Sir John William Alcock is the focus this time. 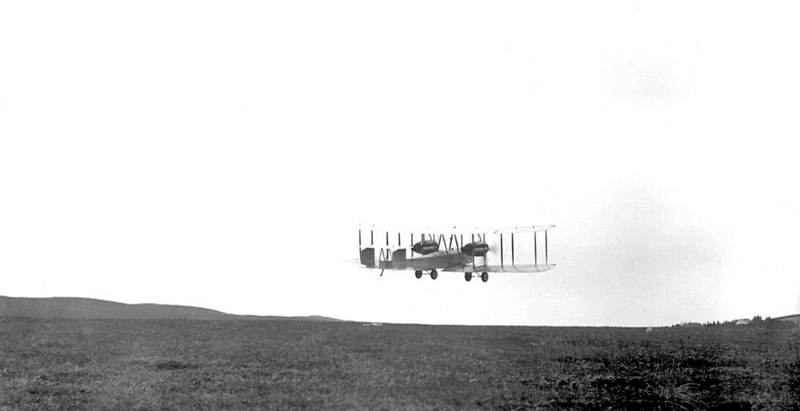 Alcock was a Captain in the Royal Air Force who, together with navigator Lieutenant Arthur Whitten Brown, piloted the first non-stop transataltic flight in 1919 in a converted Vickers Vimy Bomber. A fighter pilot in WWI, Alcock designed and built a fighter plane out of the remains of other crashed ships a’la The Red Falcon while stationed in Greece. Alcock constructed his “Sopwith Mouse” as he called it out of the forward fuselage and lower wing of a Sopwith Triplane, the upper wings of a Sopwith Pup and the tailplane and elevators of a Sopwith Camel, and married them to a rear fuselage and vertical tail surface of original design with a 110 hp Clerget 9Z engine and armed with a .303 Vickers gun. Alcock never flew his eponymous Alcock Scout, but squadron-mate FSL Norman Starbuck flew it a couple times until it crashed after several months—returning to field of crashed planes from whence in came.